A water miscible liquid which stabilises the joint filling sand used with concrete block paving. 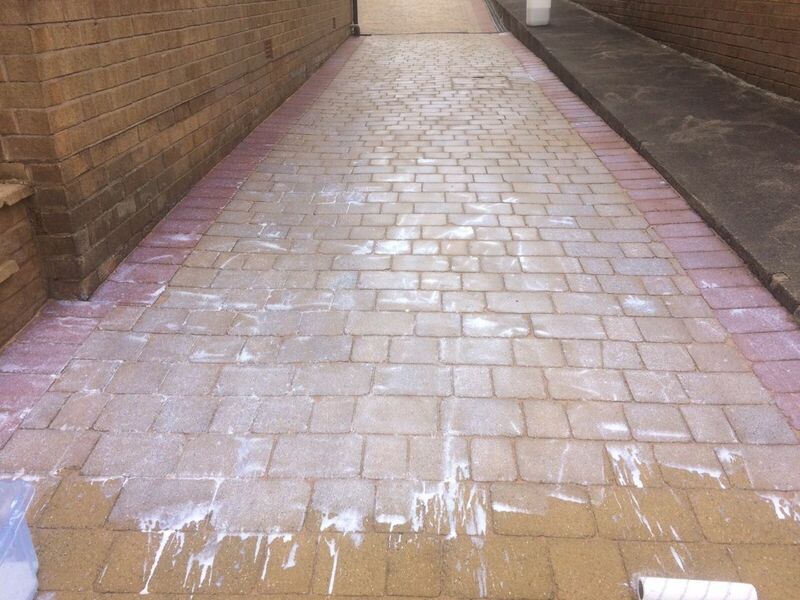 Jointing Sand Stabiliser is a water miscible liquid which stabilises the joint filling sand used with concrete block paving, impeding the unwanted erosion of the sand and preventing ingress of water. 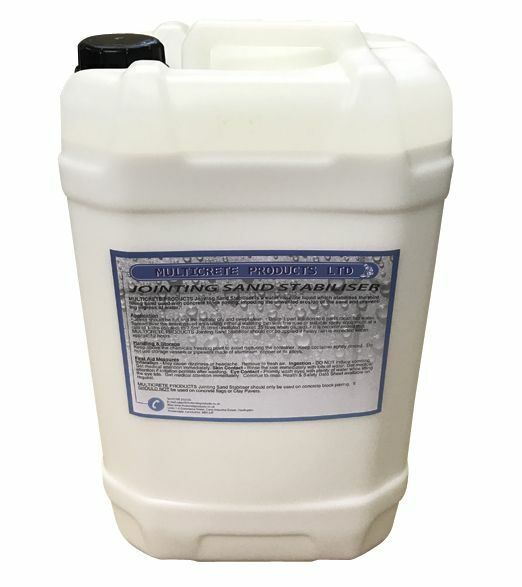 Keep above the chemicals freezing point to avoid rupturing the container. Keep container tightly closed. Do not use storage vessels or pipework made of aluminium, copper or its alloys. Promptly wash eyes with plenty of water while lifting the eye lids. Get medical attention immediately. Continue to rinse.